Last Monday, I made an all-too-rare tryst with an old friend. We met at the small town of Sedbergh in what was once part of Yorkshire, but is now part of Cumbria. I have something of a soft spot for Sedbergh on two accounts: it was the town where Charles Darwin's friend and mentor Adam Sedgwick went to school (he was born a few miles away in Dent); and it is the home of one of my favourite second-hand book shops. The book shop was the reason we had arranged to meet in Sedbergh: my friend and I both suffer intractable addictions to old books. 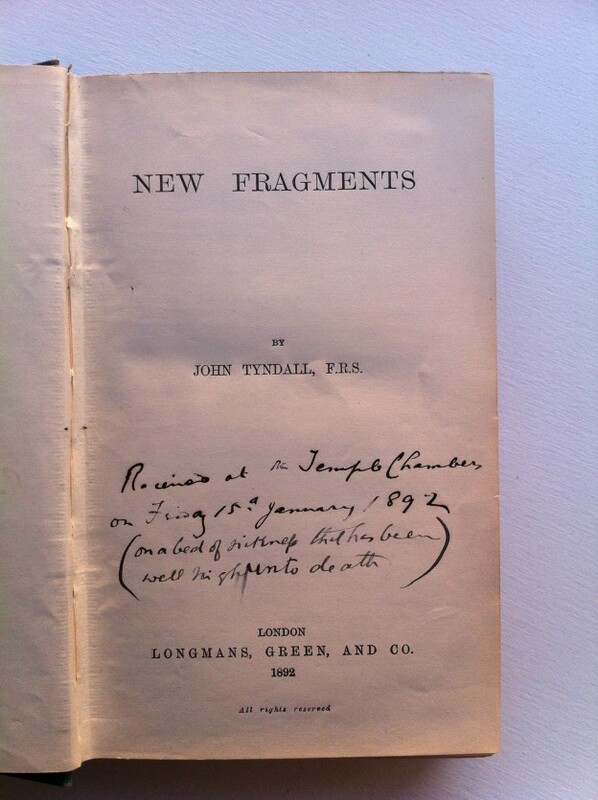 Amongst the books I bought was a set of essays, New Fragments, by another of Charles Darwin's friends, John Tyndall. 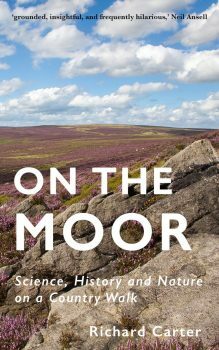 I also have something of a soft-spot for Tyndall: I managed to sneak him into two of the chapters of the book I have been writing about my local moor. He was a thoroughly good chap, and, unlike Sedgwick, one of Darwin's strongest supporters. I guess I'll never know the story behind these words—which is one of the appeals of such enigmatic inscriptions. Postscript (Feb, 2018): Not so fast, Richard! I might have tracked down the writer of the morbid inscription! A Tyndall timeline for project participants shows New Fragments as being published in June 1892, yet this copy shows that it was received in January of that year.